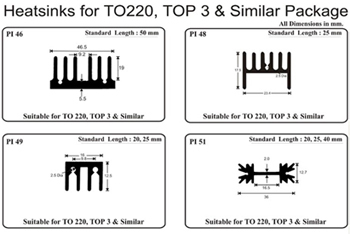 Lenghts mentioned in our product range are only standard, besides which we can supply these sections in any lengths upto 1000mm as per requirement. 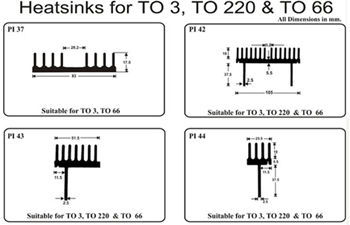 The semiconductor mounting holes are suitably placed on standard lengths, but can also be drilled/tapped/ machned as per customer's requirement. 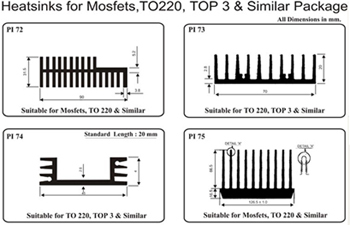 The semiconductor mounting central strip of any section or contact area of semiconductor Mounting can be given in unanodized (masked) finish. 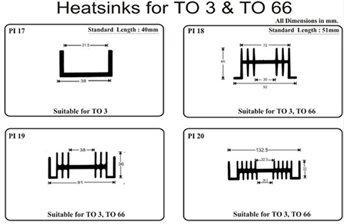 We also undertake to develop heatsinks to suit customers requirement for large quantities. 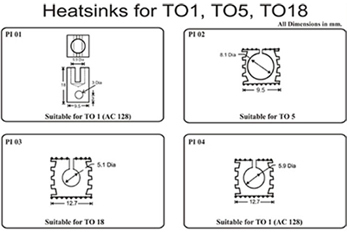 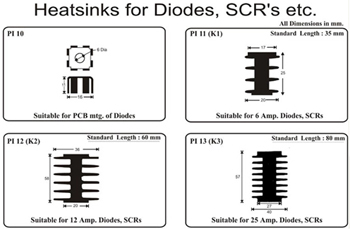 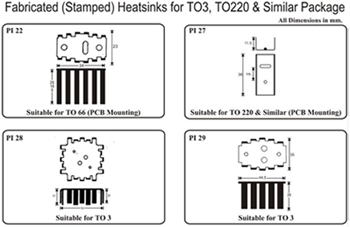 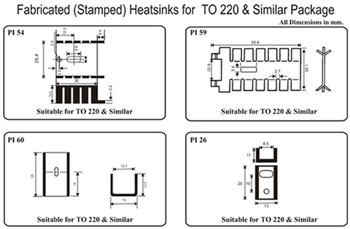 Our product range gives you the complete idea of heatsinks available with us.